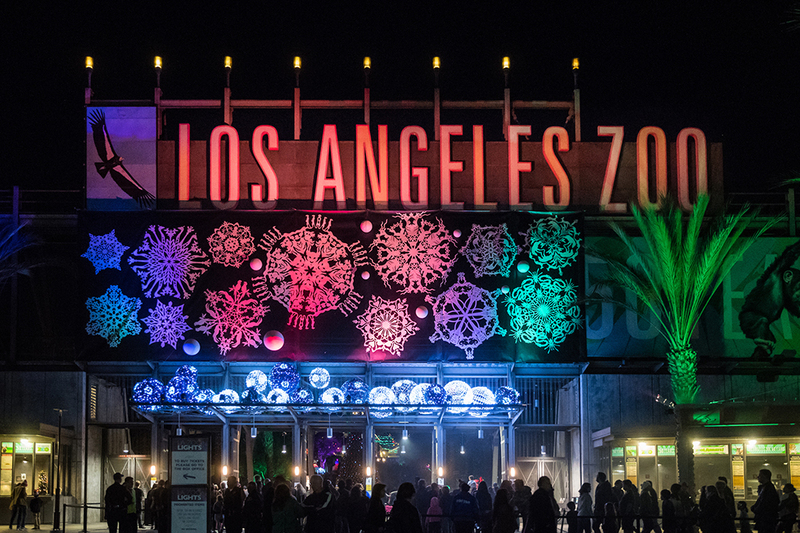 Los Angeles, Calif. – From Friday, November 16, 2018, through Sunday, January 6, 2019, the Los Angeles Zoo will become a holiday wonderland, set aglow with LED lights by the thousands, creating a festive atmosphere replete with Santa and a herd of real reindeer. The Zoo ushers in the holiday spirit with REINDEER ROMP daily (except December 25) and its awe-inspiring nighttime holiday event L.A. ZOO LIGHTS (every evening except November 22 and December 24 and 25), awarded USA Today’s “10 Best Zoo Lights” honors, returning for its fifth spectacular year and promising to be bigger, brighter, and merrier than ever. The merriment continues with two exclusive HOLIDAY HAPPY HOURS for the 21-and-over crowd in December, as well as a FAMILY NEW YEAR’S EVE for all ages.